7.00 points at 11 votes (rank 351). 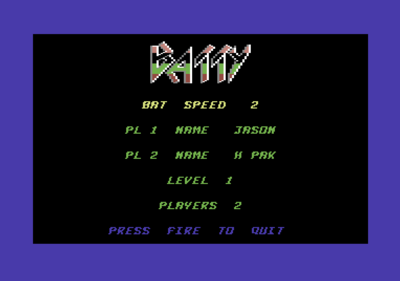 Batty is a bat-and-ball game, a clone of the game Breakout by Atari. The idea of the game is to clear each round (grid of blocks) by bouncing the ball into the blocks above. The game continues for as long as you are able to keep the ball in play, by blocking its escape from the bottom of the screen. Some blocks need more than one hit, other speed up the ball. Enemies appear and try to destroy your pad by shooting. Enemies can kill with the ball, by shooting or collecting the right power-up. In some levels a magnet field change the way of the ball. 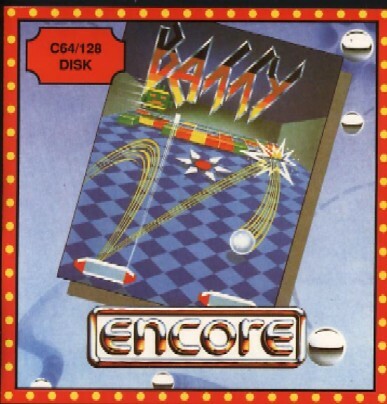 In the C64 version of the game, the game consists of 64 rounds, with every 8th round being a Bonus Round. On completion of the 64th round, a bonus is awarded and a subsequent bonus for every life the player gained. 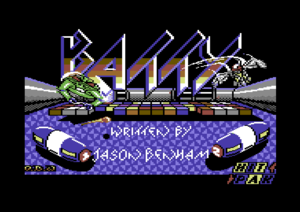 In the ZX Spectrum version of the game, the game consisted of only 16 rounds which repeated on completion of the 16th round. The game can be played by either 1 or 2 players. In single player mode, the player can slide the paddle the full width of the screen in order to save the ball from loss. In 2-player mode, the block grid is shared. Both players try to clear the same grid. A wall of varying sizes is extended from the middle of the danger zone to separate the players, thus halving the amount of room to save the ball from the danger zone. If one player loses their ball, the game continues so long as the another ball is in play. The ball will return to the playfield after a short amount of time. Whoever loses the last ball in play, loses a life. Once a player loses all of their lives, the surviving player will continue as in single player mode until all of their lives are lost. 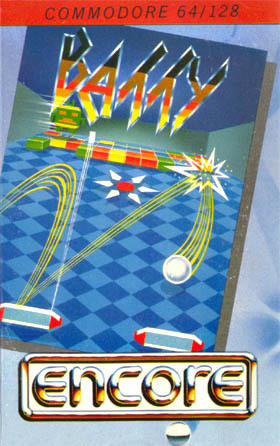 A standard 2D design of a Break Out arcade game with background music and sound effects. Every player starts with 8 lives. The player is awarded an extra life by collecting the power-up "Xtra Life" or by scoring the points displayed (10.000, 40.000, etc.) at the right side of the game screen. / - Paddle moves faster (after a short delay) when the fire button is held down. All power-ups in the game award the player 750 points once they are collected, by making contact with the paddle. A money bag power-up awards the player five times the 750 point award. There are 10 different power-ups. Glove / Hand Used to catch the ball. Once the ball hits the paddle, the paddle can be moved to alter the tradjectory of the ball on release. Money Bag / Bonus points Awards bonus points to the player. Awards five times the bonus amount. Hint: Only one power-up is active! If you collect another one, the function of the older power-up is lost. 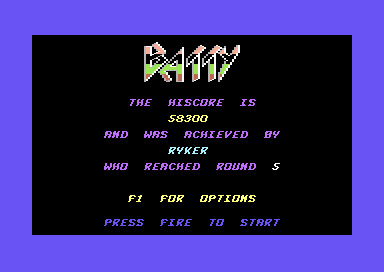 C64 version only: Every 8th level is a bonus round. Bonus rounds appear like regular rounds with a couple of differences. In a bonus round, the player has 60 seconds in which to remove / hit the bonus block. The bonus blocks are usually white in colour. In addition, the player only has one life in which to remove the bonus block. If the player loses the ball, or the time runs out, the player is presented with a "No Bonus" message and play then continues with the next round. The cheat version of "Nostalgia" has "unlimited lives", "level skip" and a saving highscore. Jodigi: "A very interesting Break Out or Arkanoid clone." FXXS: "Für 1987 nicht ganz state-of-the-art aber mit eigenen Charme, auch wenn einige Sounds aus anderen Spielen zu stammen scheinen. 8 points"
Every player can only be in the table with one score. The table should not have more than 10 entries. This page was last modified on 1 July 2018, at 17:41.